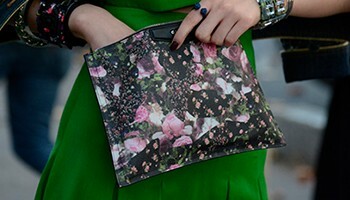 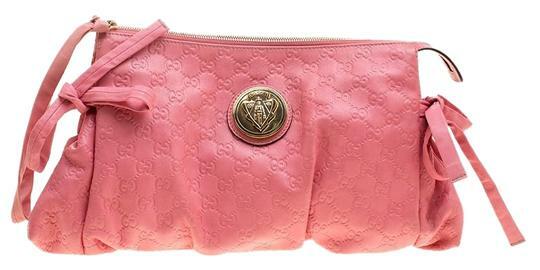 This Gucci clutch is built to suit your stylish ensembles. 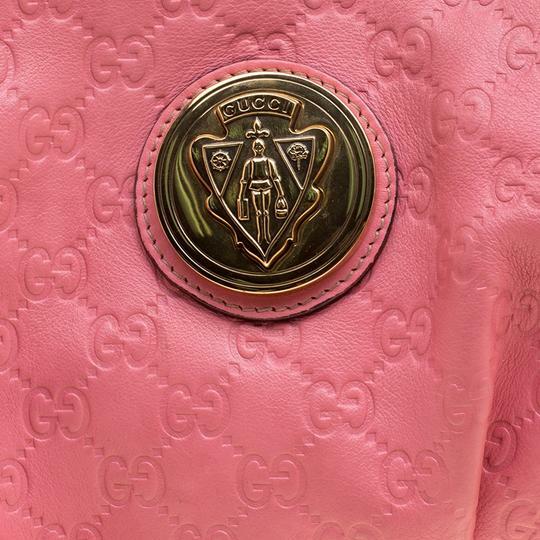 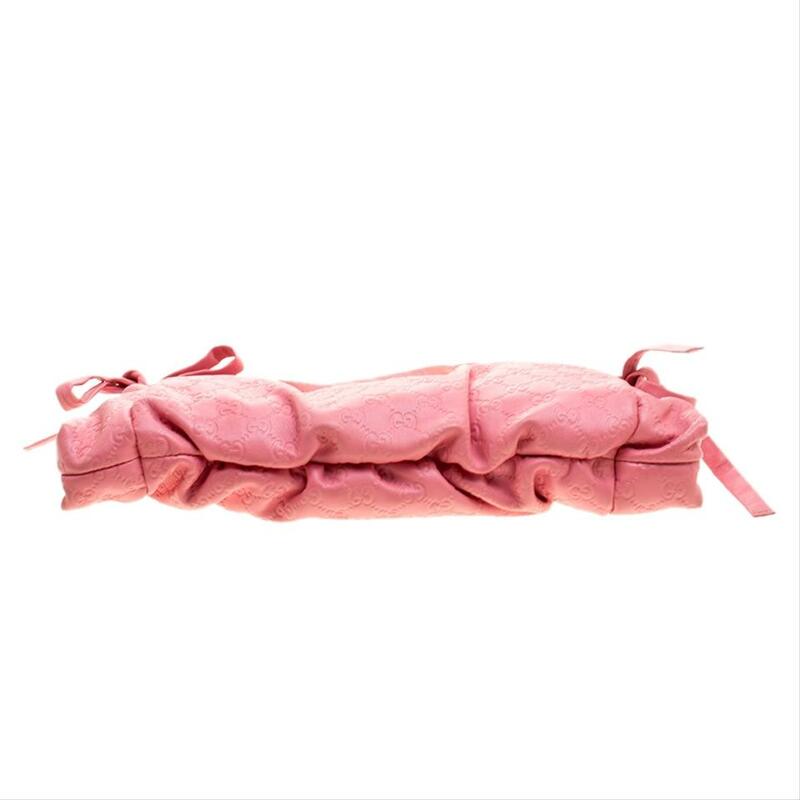 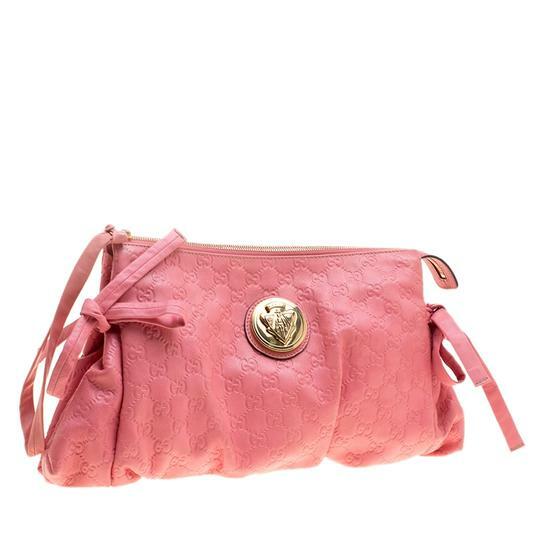 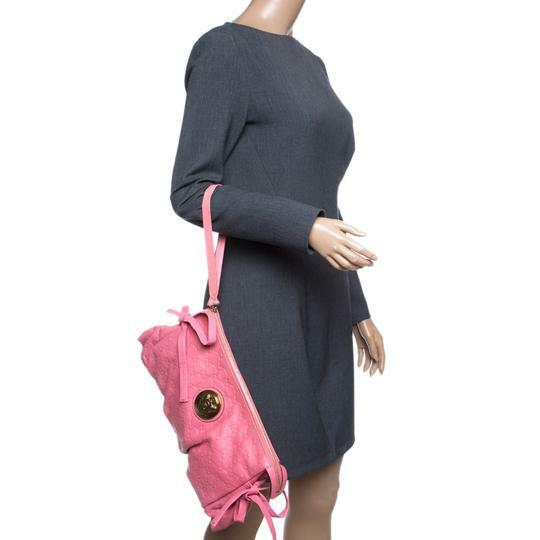 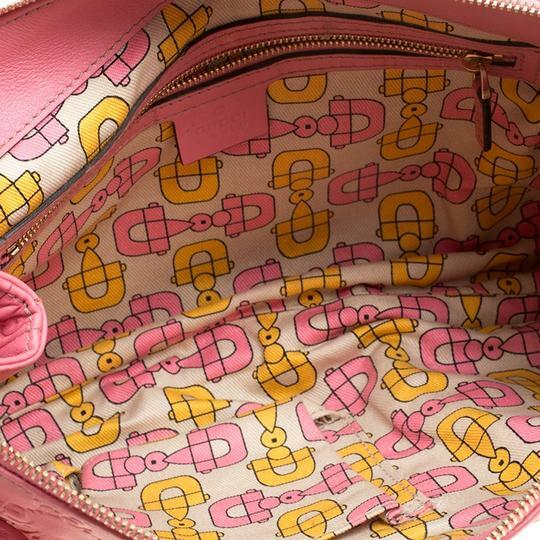 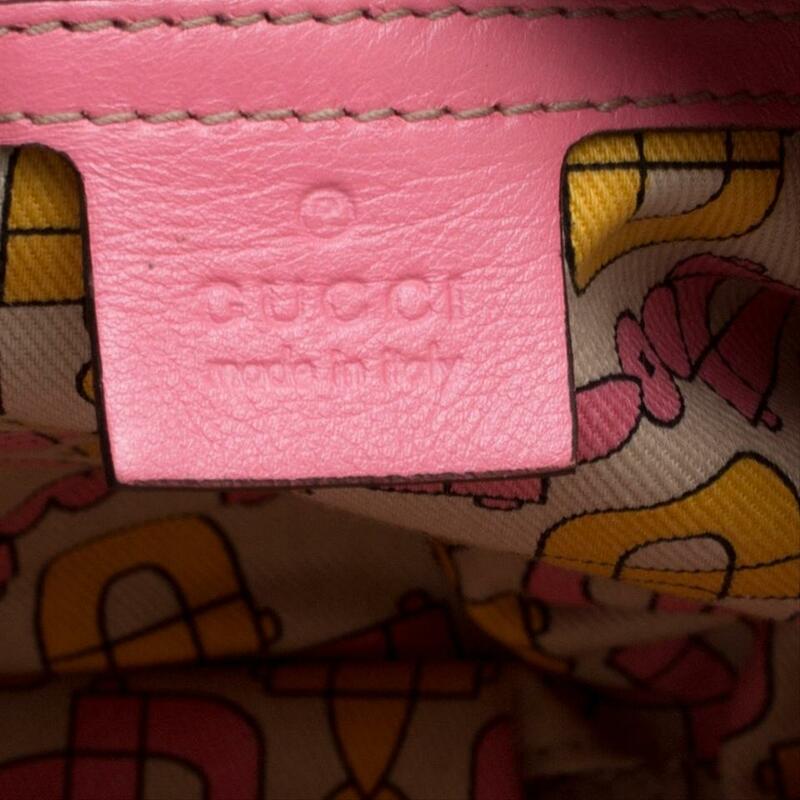 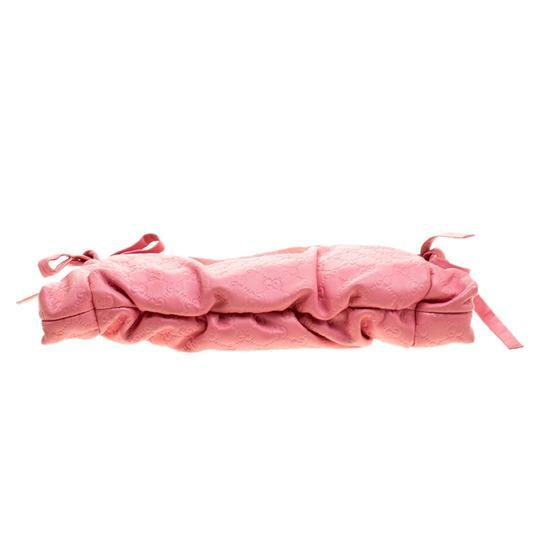 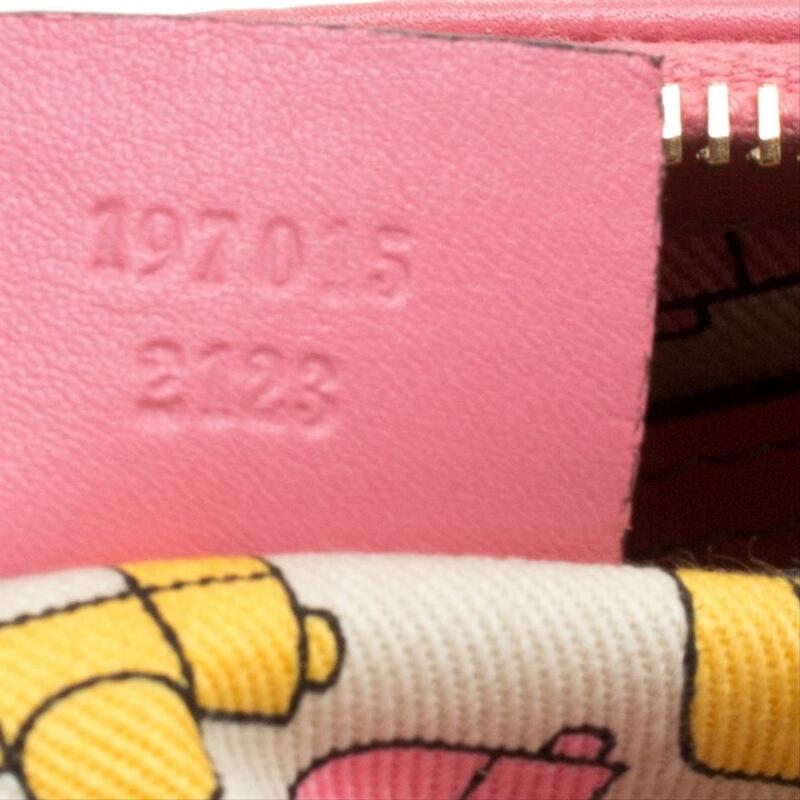 Crafted from Guccissima leather, it has a pink hue and a zipper which secures a nylon interior. The clutch is complete with the signature Hysteria emblem on the front and a wristlet. BP Listed by: Becky P.